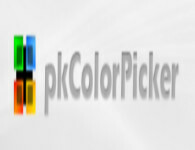 pkColorPicker is an extensive and easy to use color selection tool for web designers, graphic producers and developers. The program offers many ways to mix and to adjust colors. It is also possible to select colors from any position of the screen supported by a magnifying tool. It allows the user to create custom palette and save it as bitmap or load it from an image file. If desired, the color value can be automatically copied to the clipboard for use in other applications.This program is freeware and is allowed to be distributed for free, complete and in original state only. Bug reports and improvement suggestions are always welcome. The ColorPic software from Iconico is 100 percent free to download and use. This free software will allow you select any colour from your screen, even if you have a high resolution monitor. There is no spyware or annoying popup adverts with this software and it will work with any other software including Firefox, Internet explorer and Photoshop. Colormania is a freeware advanced color picker utility, especially createdfor web-designers, graphic artists and application developers.It supports various color models and is able to pick coloursfrom anywhwere on your screen. Accuracy on pixel level iseven made easier with the built-in screen magnifier.